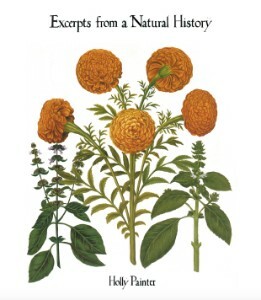 Excerpts from a Natural History began in 2008, when my then-partner was finishing up an honours degree at Otago University, which included taking an upper-level philosophy course on John Locke. Locke is better known for his political theories, but this particular professor specialized in Locke’s ideas on natural philosophy. What I gathered, secondhand, was this: in the 17th century, John Locke and his mates got together and established the modern field of natural history. But they were frustrated that everyone kept putting forward theories without having all the evidence. New information would come in, and they’d have to start over. So the natural philosophers wanted to put a moratorium on theorizing until all the facts were in. At the same time, their concept of natural history facts was very broad, going well beyond the sort of thing you’d see on a David Attenborough documentary. Buildings. Art. Clocks. Buttons. Humans are just chatty mid-sized fauna: all our artifacts are a part of natural history. At some point – at the pub, I assume – Locke & co. decided that it might be useful to find a poet to write up all the facts, poetically. Sadly, it never happened. To me, this was an opening for a bit of fun. I wrote up a dozen poems such as a poet hired by the natural philosophers might write and sent them along to the professor. He was not amused. I had “wildly misunderstood” the philosophers’ project. A few years later, I came across the poems and decided to play with them a little more. If I was going off-script, I was going way off-script. I imagined a world in which the natural philosophers had commissioned a poet to write a poetic encyclopedia all those years ago. But given the scope of their project – all the facts in the known universe – there could be no end to it. 300+ years later, it’s a multinational corporate endeavor with style guides, managers, and dozens of research-poets spread across the globe. Excerpts from a Natural History follows one research-poet, gender unspecified, from the UK to the US to New Zealand as they file poems on topics ranging from starfish to tiger lilies to the conversations you hear in Kaikoura. Back at the corporate offices in London, an editor reads and responds in the margins of the book. A friendship develops and then a romance, and then, naturally, it all goes off the rails. I did not send my finished manuscript to the philosophy professor but to Brett Cross at Titus Books. He did not comment on its faithfulness to the aspirations of John Locke and friends, but he did design and publish a lovely book, which you can find in the Titus Books catalogue or on Amazon. claws; those with talons; those with optional opposable thumbs. murderess-heiresses. Watch for persistent patterns of weaponry. the county seats of Michigan; the fur-trade posts of Oregon. tube feet, and ampullae teeth, all trim and tidy. each to undertake the growing of an entire replacement sea star. by these infinite divisions and revisions of identity. Holly Painter is the author of the poetry collection Excerpts from a Natural History (Titus Books, 2015). Her work has appeared in Sport, Landfall, The New Zealand Listener, JAAM, Arena, Barrelhouse, The Cream City Review, and others. 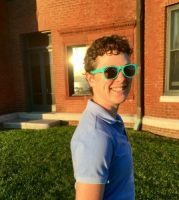 She holds an MFA in Creative Writing from the University of Canterbury in Christchurch, New Zealand and lives with her wife and son in Vermont, where she teaches writing and literature at the University of Vermont. Holly is currently working on a non-fiction book on obsolete jobs and a poetry collection based on cryptic crosswords. Find out more at hollypainter.com.